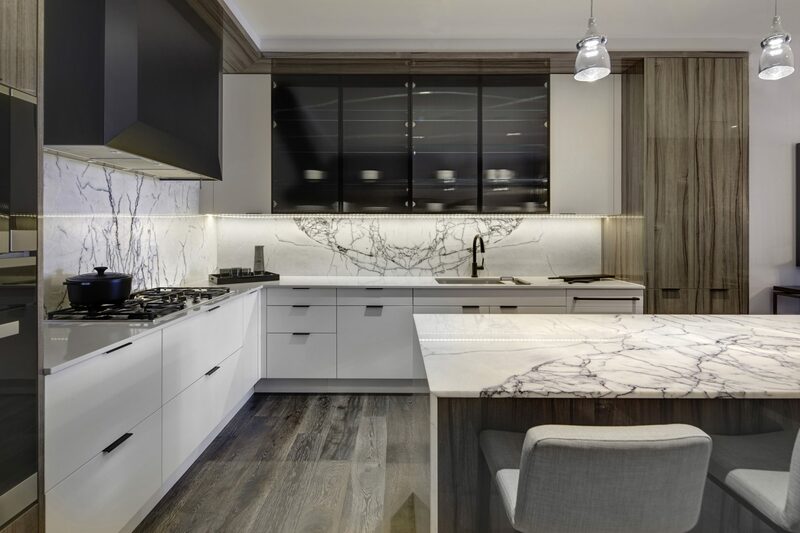 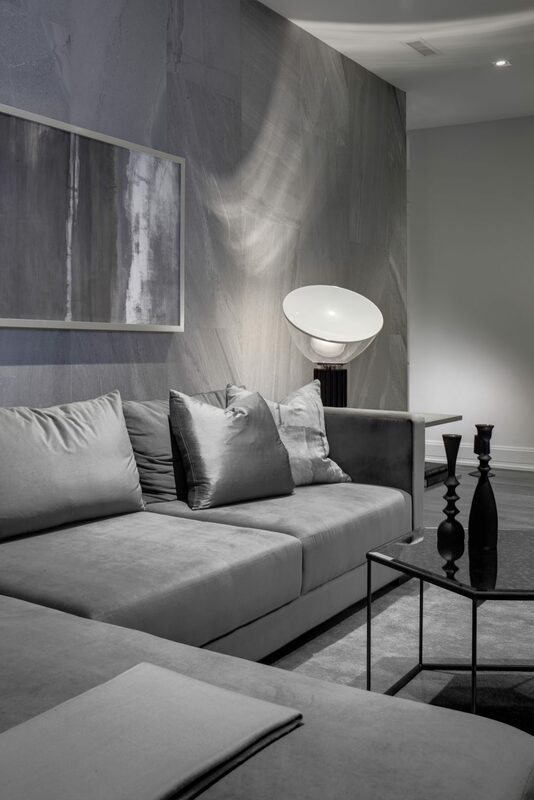 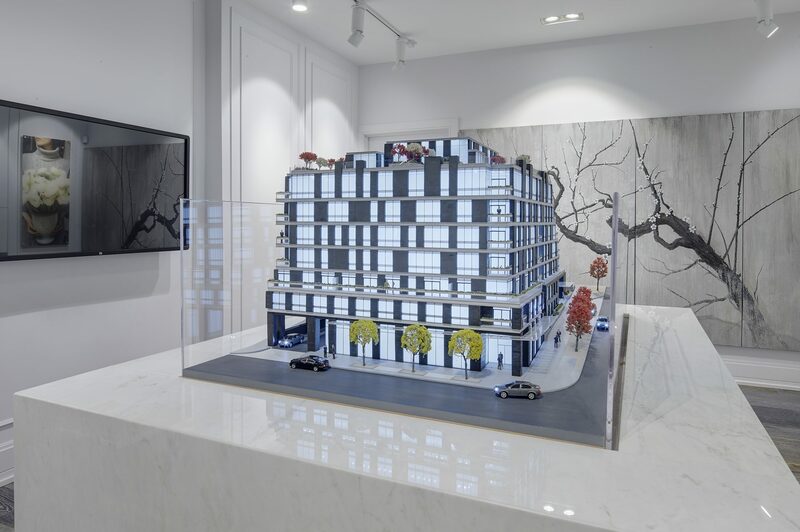 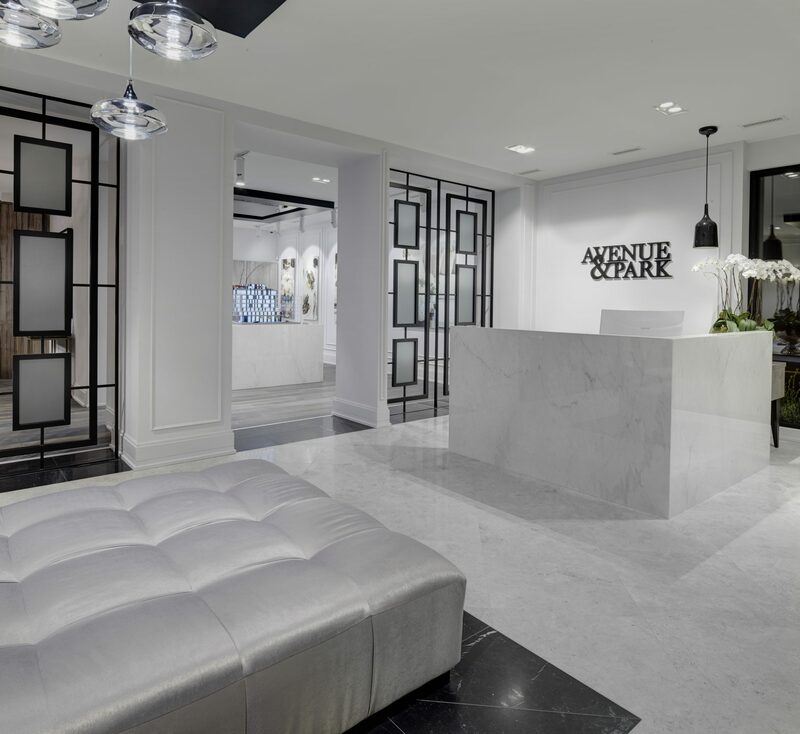 This upscale presentation gallery is an expression of luxury living, echoing the aesthetic for the final mid-rise development situated in the well established Bedford Park neighbourhood. 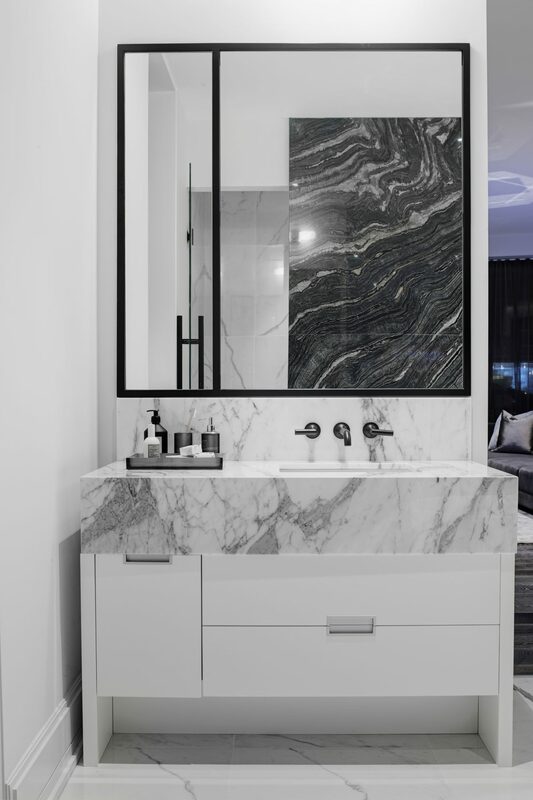 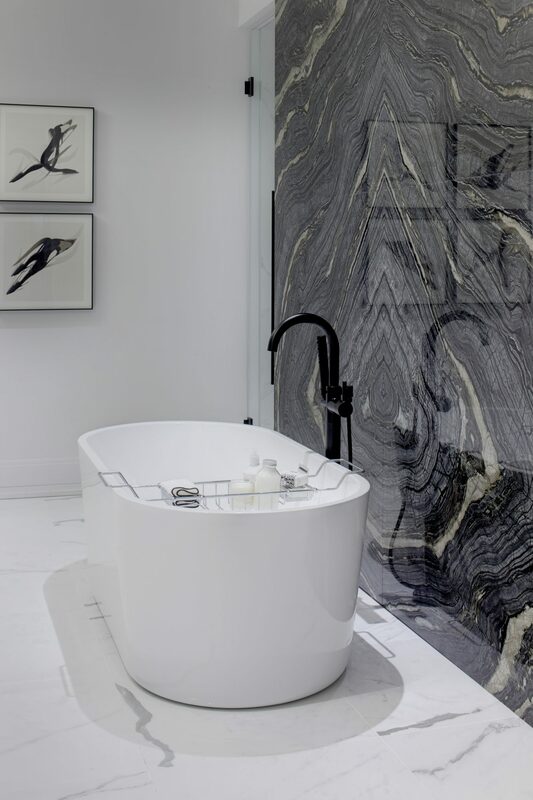 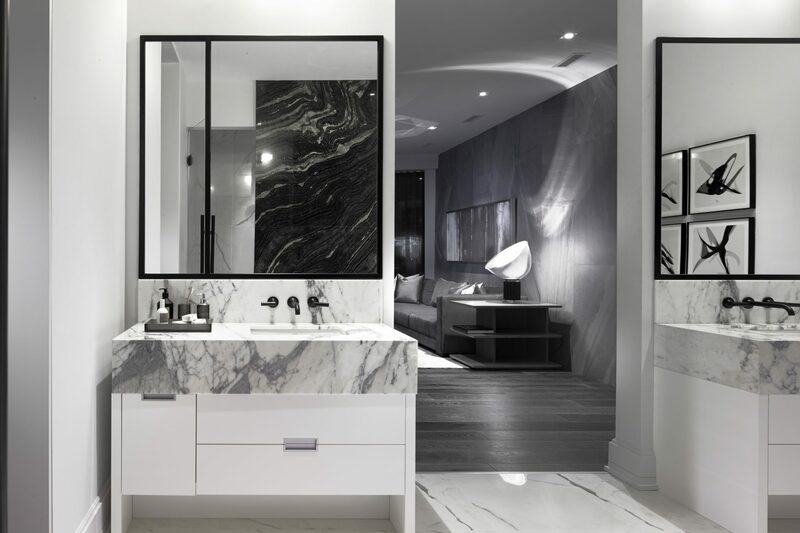 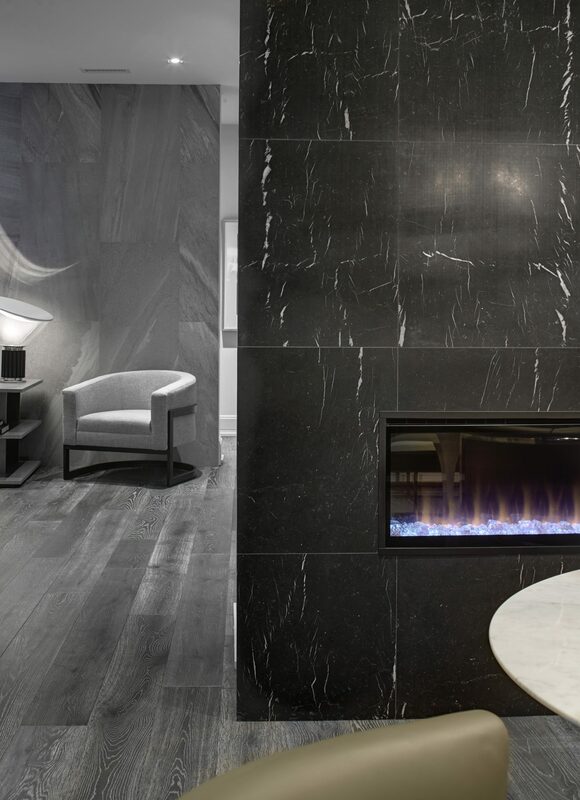 Large living vignettes fashioned in polished granite, bold marbles, muted silvery accents and sumptuous upholstery reflect the spacious suites planned for residents. 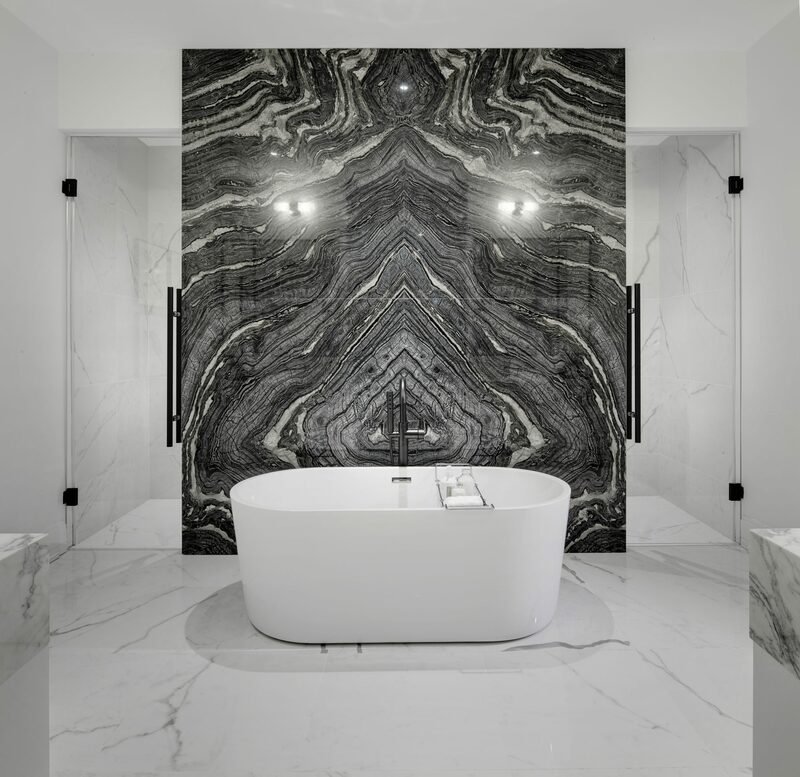 A marriage of contemporary and timeless elements fitting the up-market or empty-nester purchaser looking for a ‘cut above’ residence.